Introduction to Mathematical Oncology presents biologically well-motivated and mathematically tractable models that facilitate both a deep understanding of cancer biology and better cancer treatment designs. It covers the medical and biological background of the diseases, modeling issues, and existing methods and their limitations. 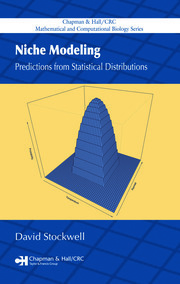 The authors introduce mathematical and programming tools, along with analytical and numerical studies of the models. They also develop new mathematical tools and look to future improvements on dynamical models. After introducing the general theory of medicine and exploring how mathematics can be essential in its understanding, the text describes well-known, practical, and insightful mathematical models of avascular tumor growth and mathematically tractable treatment models based on ordinary differential equations. It continues the topic of avascular tumor growth in the context of partial differential equation models by incorporating the spatial structure and physiological structure, such as cell size. The book then focuses on the recent active multi-scale modeling efforts on prostate cancer growth and treatment dynamics. It also examines more mechanistically formulated models, including cell quota-based population growth models, with applications to real tumors and validation using clinical data. The remainder of the text presents abundant additional historical, biological, and medical background materials for advanced and specific treatment modeling efforts. Extensively classroom-tested in undergraduate and graduate courses, this self-contained book allows instructors to emphasize specific topics relevant to clinical cancer biology and treatment. It can be used in a variety of ways, including a single-semester undergraduate course, a more ambitious graduate course, or a full-year sequence on mathematical oncology. Necrosis: What causes the tumor ecosystem to collapse? What causes cell diversity within malignant neoplasia? Yang Kuang is a professor of mathematics at Arizona State University (ASU). Dr. Kuang is the author or editor of more than 150 refereed journal publications and 11 books and the founder and editor of Mathematical Biosciences and Engineering. He is well known for his pioneering work in applying delay differential equation to models of biology and medicine. His recent research interests focus on the formulation of scientifically well-grounded and computationally tractable mathematical models to describe the rich and intriguing dynamics of various within-host diseases and their treatments. These models have the potential to speed up much-needed personalized medicine development. He earned a Ph.D in mathematics from the University of Alberta. John D. Nagy is a professor of biology and former chair of the Department of Life Sciences at Scottsdale Community College (SCC). He is also an adjunct professor in the School of Mathematical and Statistical Sciences at ASU. He is the founding director of an undergraduate research program in mathematical biology at both ASU and SCC. Dr. Nagy’s primary research interests focus on the evolutionary dynamics of disease, including the application of mathematics and principles of evolutionary ecology to cancer and disease biology. He pioneered the "hypertumor" hypothesis and recently addressed how evolution shapes malignant characteristics of cancer. He earned a Ph.D. in mathematical biology from ASU. Steffen E. Eikenberry is completing his M.D. at the University of Southern California (USC), as the final component of a combined M.D./Ph.D. program. He earned a Ph.D. in biomedical engineering from USC, with his dissertation studies focused on hierarchical model building for immune–pathogen interaction. Dr. Eikenberry is particularly interested in a careful approach to mathematical model building, understanding how specific functional forms affect model dynamics, and using modeling to address well-defined clinical questions, especially those pertaining to cancer treatment and screening. These well-formulated mathematical models can potentially form a conceptual foundation that informs clinical research and practice in the future. 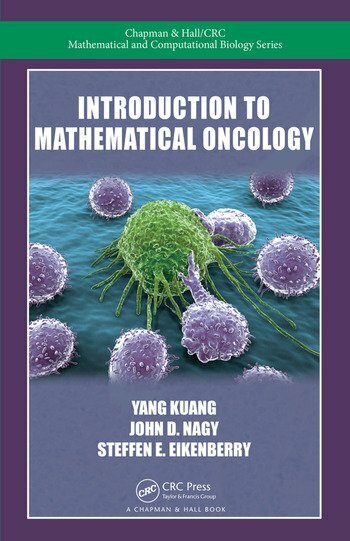 "Introduction to Mathematical Oncology is both timely and unique. It is rich with a broad range of examples and important historical contexts. There is a clear sense of the importance of integrating rigorous mathematical analysis with numerical simulations. 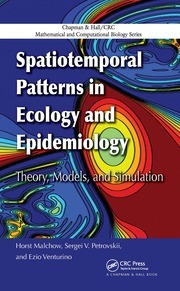 This book will be an important addition to the libraries of faculty and students who are interested in teaching and/or learning critical techniques for mathematical modeling of cancer dynamics." "This is a very interesting and well-written book … The book chapters cover a wide range of topics related to cancer dynamics and treatments focusing on chemotherapy and radiotherapy as the most traditional and commonly used procedures. Various types of cancer are discussed from the point of view of their growth, progression, and treatment with a special emphasis on prostate cancer, an area where the authors have made significant research contributions. All the topics covered are presented in an easily accessible way, starting with the most elementary introduction to the problems and leading all the way to the discussion of new trends and challenges concerning the subject. In all presentations, a nice balance between mathematics and biology is kept, a very welcome feature facilitated by the mixed background of the authors. The book is suitable as a textbook for both undergraduate and graduate courses … . The material is presented in an interesting, sometimes even intriguing manner, and it is supported with valuable exercises, projects, and open questions allowing for hands-on experiences. Students can learn a fair amount of both biology and mathematics from this text and see how these two disciplines come together to shed light on understanding one of the biggest problems and challenges of our century: cancer."